Crack eggs into a small bowl and add the milk. Whisk well. Heat a small skillet over medium heat and spray with non-stick cooking spray. Add the eggs to the pan and cook, stirring often, until just slightly wet. Stir in the green chiles and taco seasoning. 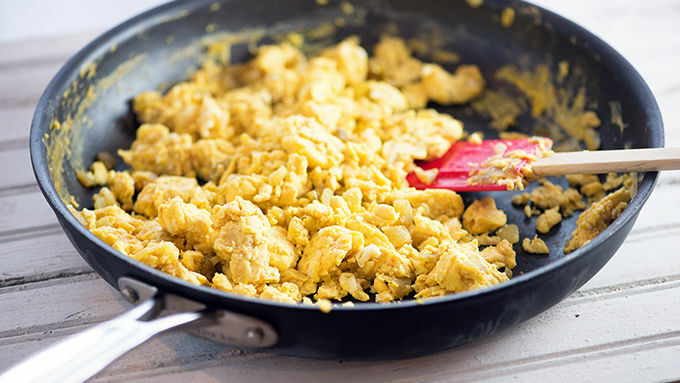 Remove eggs to a plate and set aside. 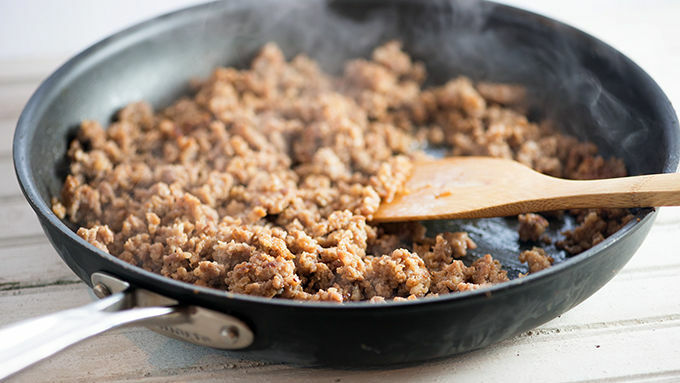 Return skillet to medium heat and add sausage to the pan, crumbling it as it cooks, until cooked through. Set aside. 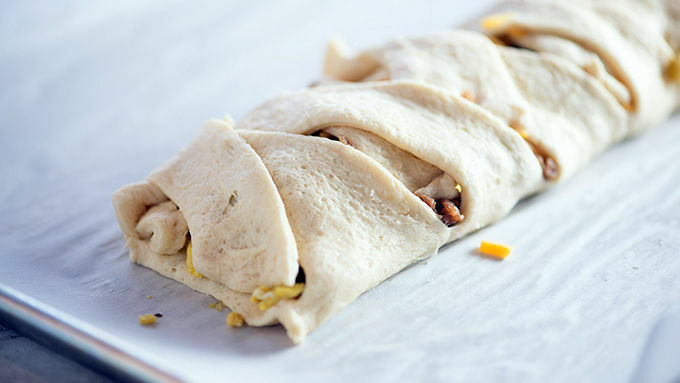 Unroll the crescent dough onto the parchment-lined baking sheet. 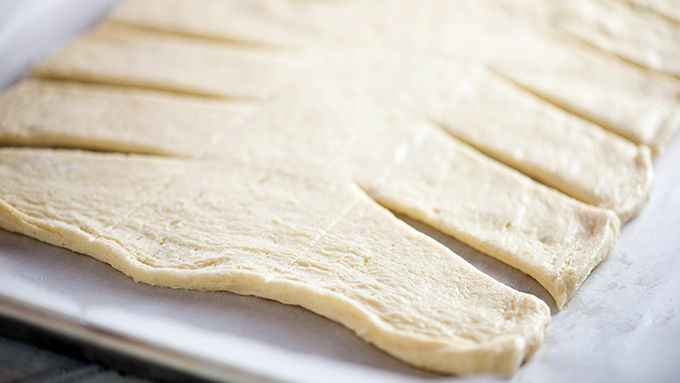 Use a knife or pizza cutter to make diagonal cuts 1-inch on each side of the crescent dough, leaving a 3-inch strip in the center of the dough for the filling. 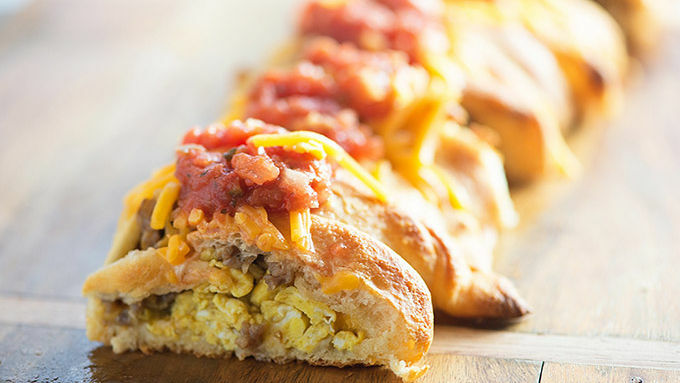 Spoon the egg into the center of the dough. Top with sausage and sprinkle with 1/4 cup cheese. Alternately cross strips over filling to seal. Remove from oven and top with remaining 1/4 cup of cheese and salsa. Let’s have a little real talk, shall we? Sausage and eggs. They’re fine. You can totally get down with plain old sausage and eggs a couple times per week. I won’t hold it against you. 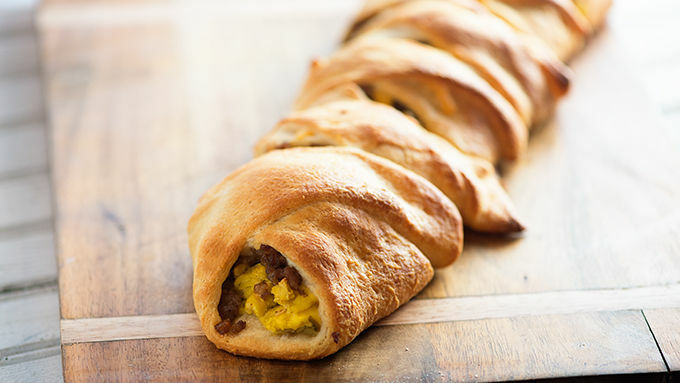 It’s just... have you tried putting your sausage and eggs inside a big ol’ sheet of crescent dough? And maybe adding some pizzazz by way of chopped green chiles, taco seasoning, and fresh salsa? No? Regular sausage and eggs isn’t looking so good now, is it? Let’s liven breakfast up, friends! This is easy stuff. 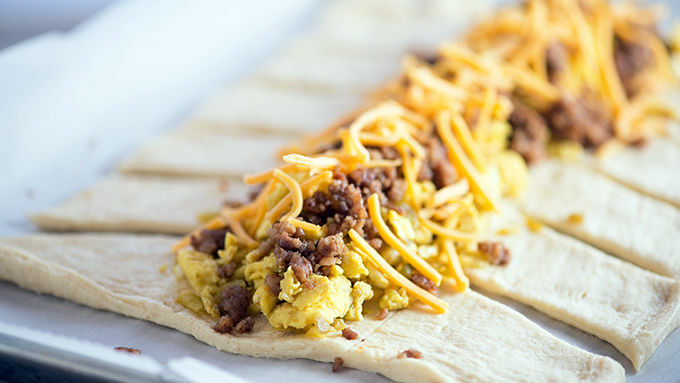 You’ll need a sheet of crescent dough, some eggs, some sausage, chopped green chiles, a little salsa, some good old cheddar, milk and taco seasoning. Bake ‘er up. She’ll be golden and gorgeous. I like to sprinkle a touch more cheese on the top and then spoon on some fresh salsa. This is better than a boring breakfast of sausage patties and scrambled eggs, isn’t it? I knew it!